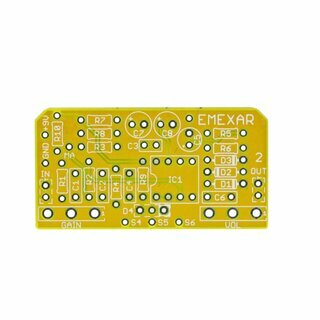 Using the Emexar 2 pcb you can build one of three different effects. Microamp, Dist+ and 250 are 3 well-known projects. 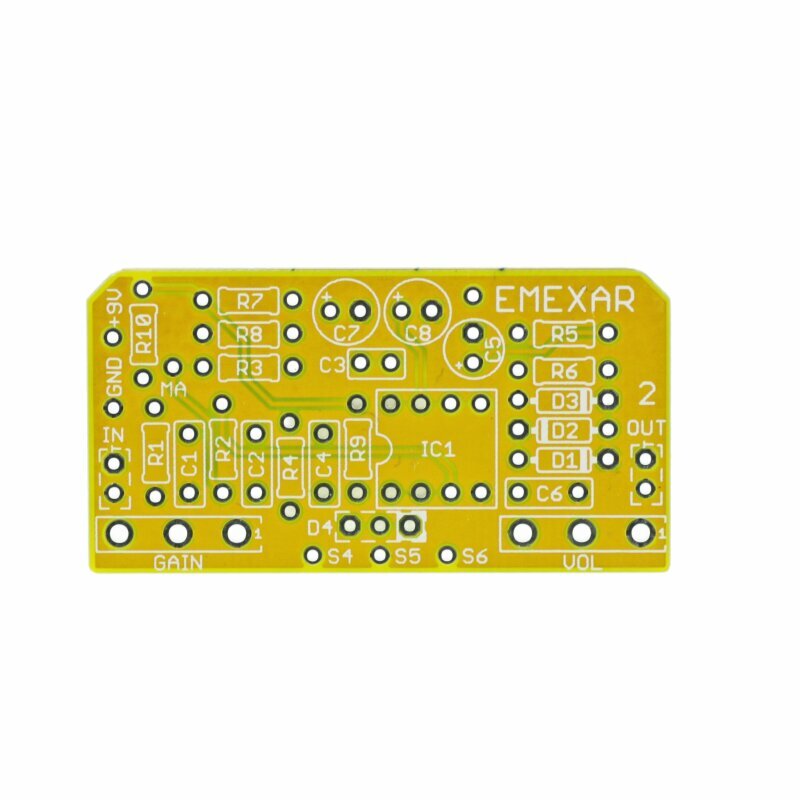 The dimensions of the pcb are 50x26mm.